Since 1978, S.N.S. Iron Works, Inc. has been raising the beam on safety and quality. We maintain innovative and streamlined processes to ensure the health and safety of our employees, all while tackling increasingly demanding schedules. It is our speed of production and stellar safety record that make S.N.S. Iron Works, Inc. a leading steel erector in Colorado. 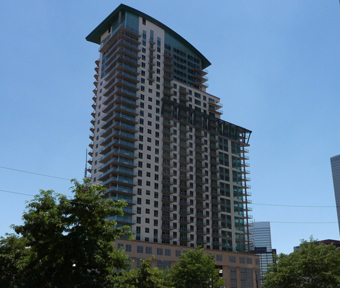 Rising 35 stories above Broadway, this new building is a Landmark for high end condos in Denver. This was a complex project due to the design of the roof, which cantilevers out as much as 25 feet from the edge of the building. Lindsey-Flannigan Courthouse was completed in June of 2010. 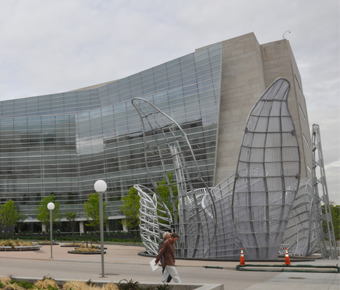 The 317,000 square-foot facility is the hub for Denver judicial activity. The folding glass curtain wall was supported by nine sloping 75 foot, 35,000lb columns, all of which free spanned the entire distance. 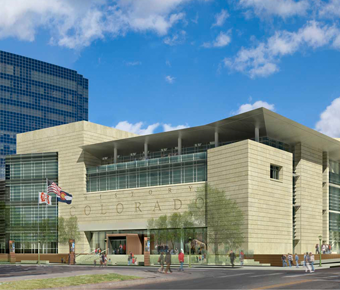 History Colorado Center will soon be Denver's newest cultural attraction. The new 200,000 square-foot, $111 million facility is Set to open on April 28, 2012. The new facility located at 13th and Broadway in Denver has become a new Smithsonian Affiliate. The facility will showcase Colorado's rich history.